With the upsurge in the Stock Market in recent times and promising growth prospects of the Indian Economy in times to come, new as well as seasoned investors are finding Stock Market as the best option to invest their money. Investing in stock Market can be risky sometimes for new investors because of the constant fluctuations in the market, but can be extremely rewarding if an investor is focused, and invests intelligently. Mostly Investing in Stock Market is considered risky because it is subjected to market fluctuations, but if invested prudently and wisely, equities are relatively best options to invest because of the high returns it offers to the investor. If you are a new investor and trying to understand how to invest in the stock market, this exhaustive guide will take you through the complete process. To trade in the stock market you will need to open a Trading and a Demat account with a Stock Broker. A trading account is used to place buy or sell orders in the stock market and manage your funds. Demat account is like a bank account to hold the certificates of your financial instruments like shares, bonds, government securities, mutual funds and exchange traded funds (ETFs). You may wish to choose a traditional Stock Broker who may charge you a heavier brokerage but will provide you with a relationship Manager or you may choose an Online Discount Broker like Moneypalm who will charge you very little brokerage but will give you an online trading facility and access to its customer support instead of a relationship manager. PAN CARD: This is the most important document, without which you will not be able to open a Demat or Trading Account. You will need to submit self-attested clear Photostat of the Pan Card. Photos : You will need two latest passport sized photographs of yours. Utility Bill (Like electricity Bill, Water Bill, Piped Gas Bill, Landline Bill) (Make sure it is not more than two months old. Rent Agreement (Make Sure it is latest and not expired. You can submit self-attested clear Photostat of any of the above. Cancelled personalized (carries your name) cheque (if the cheque is non personalized then should be accompanied with latest 3 months bank statement). This is needed to link your bank account to the trading account to be opened with the broker. Income Proof: Like Latest Salary slip or 6 month bank statement or Latest Form 16 or ITR. This is not needed if you only want to trade in cash segment. But is needed if you also with to trade in derivatives. Please ensure that all the documents carry exactly the same name without any discrepancies to avoid filing any sort of declarations that are needed in case of name discrepancies. Also you need to show the original documents also to the representative sent by the broker or in case of online verification over the web camera. You will also need to sign the Demat and Trading account kit to open the accounts. Make sure to read all the terms and conditions and list of charges and don’t just blindly sing any documents. Invest only in good stocks: Select few good blue-chip stocks after checking the company performance in past, present and its strategies for the future. Stick to those stocks and give your portfolio time to fetch laurels for you. Use only your surplus income to invest: Always remember, investments are always subject to market risks. Invest only the surplus funds in the market. Always keep yourself liquid for unknown contingencies. This will always help you, as you will not have to sell your stocks at a loss in times of need. Never Ever Borrow to Invest: Instead invest intelligently with whatever you have, so you are not burdened. Borrowed sum will always bring in a lot of stress. Why stress yourself? Play it slow, play it safe. Avoid following what your peers do: It is a typical tendency of newbies to buy what people in your circle are buying. This is a wrong strategy. Be open and be aware of what people around you are buying, but use your intelligence to understand the pros and cons of investment. Have faith it your research, instead on someone else’s research. DON’T follow Tips blindly, even from an expert: You may use the tips as an aid for your own research, don’t blindly follow tips. Also, tips might be biased at times and you may fall prey to them. Don’t let your fear or greed influence your decisions: Stocks can rise or fall unexpectedly in the dynamic market conditions. Always set your targets and your expectations from your investment. Don’t ever panic in the market. Remember if you have invested in good stocks, they will most likely not betray you. So don’t be influenced by crashes in the stock market. Also even if your stock is performing exceptionally well, always remember the target you have set. Don’t try to be greedy. Book profit when you have achieved your target. If not, chances are the stock may come down after market settles and you will have to wait longer to achieve you target. GREED and FEAR in the stock market are your biggest enemies. Research: Last But Most important thing is research, study, and have faith in your own research. There is no better thing than your own hard work and knowledge that you put in. There are no shortcuts. 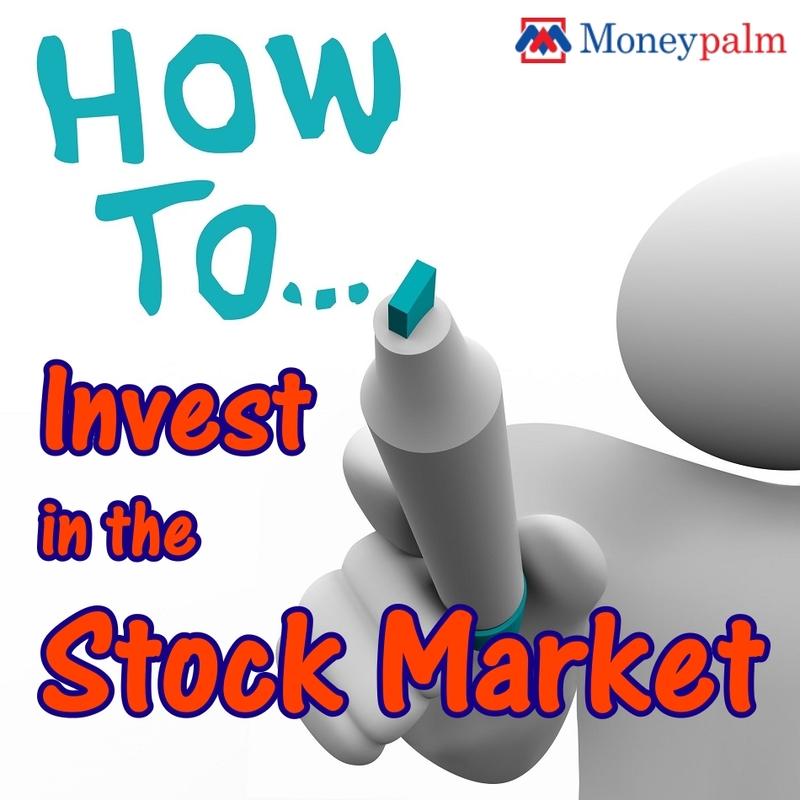 Follow the above steps we are sure that not only you will learn how to invest in the stock market but will also do well in the stock market. To know more you can visit our website www.moneypalm.in or call us at +91 0124-4342000. Online share trading portal & stock brokers company like Marwadi Shares and Finance Ltd https://www.marwadionline.com/ help one get started and learn how to invest in the stock market. This post is good and valuable . if you want to make money from a stock market investment. So, Never sell your stocks without giving each one time to generate profits. i am advisor in Epic Research .